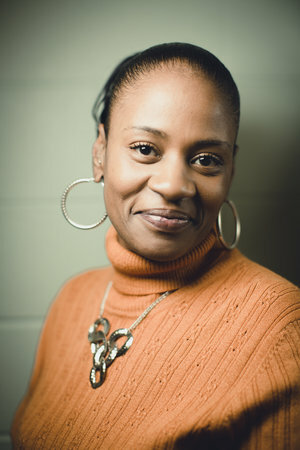 Click here to learn about March artist grant recipient, Malesha Taylor. Click here to learn about March artist grant recipient, Rachel Wallis. Congratulations to The Boulevard of Chicago on a successful grant application! The The Boulevard of Chicago provides high quality, cost-effective medical respite care, holistic support and housing services to help ill and injured homeless adults break the cycle of homelessness, restore their health and rebuild their lives. The Creative Storytelling Workshops at the Boulevard allow residents to connect with one another while creating a performance. 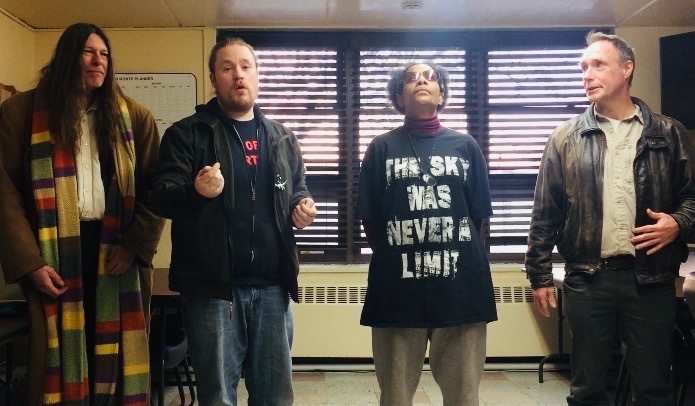 In addition to gaining valuable communication soft skills, the workshops are an opportunity for residents to take a break from the story of their recovery and/or illness, to build healthy relationships through a shared experience, and to grow in confidence as they successfully create a piece of performance art. Molly Bunder is passionate about using drama to help residents build community. She teaches residents to be gifted storytellers, but also compassionate listeners. With care and support, she encourages everyone to share a story, and deftly creates meaningful performances using the contributions of every participant. Creative Storytelling is the only restorative drama programming offered at the Boulevard; and in end-of-session feedback, 100% of participants would recommend the class to another resident. Funding will be used for writing supplies, to design and record the performance, and to pay the facilitator two hours/week for the duration of the March/April workshop series. The funds will allow the workshop series to expand from 1 hour/week to a much-needed 1.5 hours/week, and will facilitate 2 additional weeks of workshops for the community. The participants have specifically requested these increases, as they wish to see the program grow. Integrity: Arts and Cultural Association is pleased to award the Non-Profit Mini Grant to The Boulevard of Chicago for their honorable life-changing mission! We are proud of the the difference they are making through the arts for the homeless within their community. Your non-profit organization may be the next grant winner! Click here to apply. "The people here are someone’s mother, someone’s father, someone’s sister...It’s not ‘just a homeless person’. It’s a PERSON who happens to be homeless."